Issue Of The Week L: Was A Nebraska Muslim Student Discriminated Against? OMAHA, Neb. (AP) — An Omaha man who was kicked out of the University of Nebraska's law school just months before he was set to graduate is suing the school and others, saying he was discriminated against because of his Arabic heritage and Muslim beliefs. Mohammad Al-Turk filed the lawsuit on Tuesday in Nebraska's federal court, naming the University of Nebraska College of Law, several law school officials, the University of Nebraska and the university's Board of Regents as defendants. The lawsuit says Al-Turk's troubles began in his third year of law school when he suffered computer problems and was unable to turn in a rough draft of a paper due Oct. 22 for a comparative law class. Al-Turk met with his professor, Brian Lepard, that day to explain why he could not turn in his paper and was told to turn it in when he could, according to the lawsuit. Al-Turk said he tried to re-create the paper from various notes and source materials he had previously prepared and turned in the rough draft several days after the deadline. Soon after, Lepard determined that Al-Turk had plagiarized works in his paper and — unbeknownst to Al-Turk — reported to school officials that the student had violated the college's honor code. Professor John Lenich was appointed to prosecute Al-Turk's case before the school's honor committee. Al-Turk tried to negotiate a settlement, but the honor committee dismissed him in February. He had been set to graduate in August. The lawsuit says Al-Turk was discriminated against based on his race and religion and that his constitutional right to due process was violated. "In those instances during the past five years where the College of Law and its honor code prosecutors have negotiated settlements of code violations with students imposing sanctions lesser than dismissal or withdrawal, said students were comprised largely of Caucasian students who were not Muslim," the lawsuit says. Melissa Lee, a spokeswoman for the University of Nebraska, declined to comment on the lawsuit, saying the university generally does not comment on pending litigation. She did not respond to a request from The Associated Press to speak to Lepard, Lenich and others who are named as defendants in the lawsuit. In a Nov. 2 meeting that was not recorded, Lepard met with Al-Turk to discuss Lepard's concerns that Al-Turk had not attributed parts of his rough draft. Lepard and other law school officials later said Al-Turk admitted during that meeting that he had fabricated his computer problems and plagiarized work in his paper — an assertion Al-Turk denies in the lawsuit. The lawsuit says Al-Turk twice attempted to discuss settling the matter with Lenich so he could stay enrolled, including submitting to a written reprimand and sanctions of some sort — actions the lawsuit says were "commensurate with what the (college) had imposed previously for code violations involving plagiarism." The lawsuit says Lenich first told Al-Turk that he could not discuss a settlement, then later told Al-Turk that "the only settlement the College of Law was willing to discuss was Al-Turk's withdrawal ... as a student." The school's honor code specifically authorizes prosecutors to engage in negotiated settlements with an accused student, the lawsuit says, and the college frequently engaged in settlement agreements for honor code violations, including plagiarism. Al-Turk took out thousands of dollars in student loans to attend NU's law school and fully paid for the spring 2013 semester that he is now unable to complete, the lawsuit says. Al-Turk also says he will be unable to enroll at another accredited law school because of the disciplinary dismissal on his record. Al-Turk is seeking unspecified damages, and asked the court to impose injunctions on the university, the law college, and its officials to keep them from discriminating against others. He has asked for a jury trial. Robert Mooney, an attorney for Al-Turk, said Wednesday that he is also seeking immediate injunctive relief to allow Al-Turk to return to the law school and finish the course work for which he has already paid tuition. A hearing on that request has been set for next week. This is a complicated situation which is made more so by the fact that there is a lot of unsubstantiated accusations put forth by both sides. 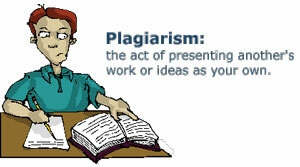 I think it is sad that any institution of higher learning would excuse or downplay the act of plagiarism. If the law school has given others accused of plagiarism a slap on the wrist and allowed them to continue, it doesn't say much for their stance on ethical behavior. Students should not be allowed to think that it is ok to violate honor code policies. I also think that if this student is using his race and religion to excuse his unethical behavior he is doing a disservice to others who share his race and religion. Of course there is going to be a lot of terrible things said and possibly lies on both parts of the party, given the degree of the situation. Some part of me wants to say that he is actually using his race as a cushion to help his case, as this is always a controversial topic that is tread upon lightly. If he can win with this defense, then why not try it, who wouldn't? The school says that he admitted to plagiarizing some of his work, and lied about not being able to submit a rough draft on time. But why would someone so close to graduating, and obviously done so well previously, pull a stunt like this so close to the door? If there are students who have not been dismissed for plagiarizing, and received other punishments, then why not negotiate with Al-Turk also? There is a lot we do not know about this case so it is hard to say from a few paragraphs whether he has been discriminated against or not. If i had to give my honest opinion from this excerpt, I woud say among all things pending the situation, he is using his race as an extra factor to aid in helping win his case. Although I understand the grey area other students presented, I believe racism or discrimination is involved. If this were a white student, would the same consequences have taken place? In my opinion, I do not think so. Consequences should be the same for students violating codes despite color. I realize there must be discretion when evaluating students actions especially as students are individuals and mistakes happen. I remember in high school, I was late on an assignment, and the teacher let me go in the other room to finish whereas students of lower academic standing might not have received that same luxury. College, if anywhere, should be one of the safe places of the world where people are given adequate fairness in learning to navigate this world. Would the same consequences have taken place? It's an interesting questions. We can only speculate, but I'm starting to agree with you. The honor codes at various universities are pretty similar: don't plagiarize, if you do you will fail, and we might expel you if necessary. What situations call for total expulsion from a university? I wish it was more cut-and-dry. I've witnessed instances of (I wouldn't call it favoritism but something similar). We have a strict No Cell Phones policy, particularly during exams, but a fellow student's phone "went off" during an exam, and these professor still graded it. She made this decision off based on her own judgement of the student which may or may not have included his race. Although I can not necessarily determine that discrimination took place, I think it's abundantly clear that the professor handled the situation incorrectly. As a professor he is probably allowed to do what he wants and report student's inappropriate behavior without notifying them. I do think it was unfair for the teacher to not try clearing things up with the student first. Most universities have a policy that states plagiarism will cause you to fail the course. Expulsion is a very severe response to the offense. If it has been observed and recorded that white students were receiving less severe punishments, discrimination was definitely a factor in Al-Turk's punishment. I believe he has a sound case on the basis of racial discrimination. As UCCS students there is a range of consequences including failing the class, getting kicked out of their program or school entirely. The professor should use his or her discretion but this should never include person biases. Prior to taking a diversity course, I wouldn't have been able to see the discrimination involved. I don't have to consider my race on a daily basis, so it's understandable that I wouldn't assume race to have anything to do with this situation. However, now I understand that race was an influence in this situation; It's just unclear if it was open discrimination or unconscious discrimination. A fellow student described this ordeal as "gray matter" which described it perfectly. It's difficult to determine who is innocent (if anyone is innocent). Without knowing what drove the actions of those involved, one can only speculate the truth. I'm curious to find out how this case is resolved. I have a difficult time claiming that his student is being treated based on racial discrimination. Perhaps if there was more information about the actions of the white students that received deals I would have an easier time making a decision. Al-Turk lied about his computer problems and then turned in a plagiarized rough draft after the deadline and this was done at the school's expense as his tuition was paid through scholarships. Later he then denies claims he made earlier on when he admitted to the lies and plagiarism. Of course I do not know how it feels to be suspicious of other people's actions due to my race but I do not think this student has a claim. Again, if there was more information provided I would make a different claim but according to the article, I think he should take his punishment. I will also like to add that if a white student or a student with money had done the same thing they should certainly receive the same consequences. Another thing mentioned in the article was that the professor did give Al-Turk more time to work on the paper. I'm not sure if that was a racist move. If he did intentionally plagiarize, he should be removed from the program regardless of his race. I wish the article went more into the plagiarizing trends of that campus so we could see the demographics of cheaters and what happened to them. That might help everyone distinguish whether this was a clear matter of race or not. In the article, it says he took out thousands of dollars in debt, and it didn't mention anything about scholarships. Regardless of that, it is suspicious that he lied about his problems and submitted a partially plagiarized paper. I agree with your not understanding of how it would feel to be suspicious of another of your race, but I think that the race part wouldn't be an issue at all if it was a white student in this same compromising situation. I also believe that this matter at hand has nothing to deal with race. Al-Turk false allegations and plagiarism is unacceptable. In college’s punishments should be acknowledge by students who plagiarized and commit dishonesty. The major consequence of plagiarism is that people who engage in it hurt themselves. Al-Turk throwing out the race card seems predictable at the moment because he committed wrongdoing. I don't think this is a matter of race. I know it is. Just by doing the readings this semester, it is put forth that nothing is done that is completely not associated with race. Therefore, race must have some weight in this decision. I don't know how much, because the article didn't say what deals were made with other students of various color. Overall, this student did something wrong and should be punished, and being kicked out of school may be a just punishment. I would expect the same treatment of anyone. My first reaction was to reference any protocol prior to this decision that was made. In this "he said/they said" situation one has to look back at every other case. It needs to be compared to what has been done before. I get that each situation is a little different but if the university has indeed been more lenient toward other students and those students happen not to be Arabic and Muslim then they have an issue and this gentleman has a case. In my really limited exposure so far to soc and WEST I can absolutely see the bias toward an individual of color or religious and ethnic difference. I think each one of us has bias and stereotype whether we want it or not. The difference is to be aware of it and then set the same standards to someone who is Arabic or Caucasian and discipline them within consistent parameters. It sounds from the lawsuit that maybe this was not the case and therefore there is something to a discrimination lawsuit. We sure have a long way to go in learning about ourselves and admitting the truth of how we, and others, really live. Since the article discusses the college engaging in other disciplinary cases involving plagiarism, I would like to read some statistics and numbers regarding those. How many people have been "caught" violating the honor code who were not white, and what happens to them as compared to white students? It is difficult to say that this is clearly a matter of racism, but I do think that the college should have given Al-Turk due process which is a right of his and everyone else's. That part I think can possibly be racist. And even sometimes, if part of a paper is plagiarized, the student may have not intentionally done it which is why the situation needs to be investigated further. If the student did indeed plagiarize, then he should be removed from the program. If not, and the school is found guilty of racial discrimination then they should be sued! I don't think this person was discriminated against...I think he did something wrong and is now being punished for it, as anyone should be. I think the article would have made it's point better if it had included data of all races that were charged with plagerism, what happened to them, and maybe a chart of the punishments in tandem with the actions. Using just this article I dont think hes being charged unjustly because of his beliefs or race. I think whether or not the dismissal was based on race and religious discrimination will be a discoverable matter which is perhaps the purpose of the lawsuit. It is interesting to me that Al-Turk was reported to school officials for honor code violations without his knowledge. Perhaps this shouldn't be surprising for a student in his final student of law school but it gave me pause. I would assume that professors would speak to the student first to see if there was a citation problem rather than outright plagiarism. I think this would be so if a student was frantically working to recreate their paper. The second alarm bell for me was where the school alleged that he admitted to lying about losing his paper and plagiarism but in an unrecorded conversation. Were other conversations recorded but this one conversation not recorded? I don't know what the truth is here. But there are enough questions to warrant further investigation. Sometimes a lawsuit is the only way to get those answers. I know in some classes I have, you have to turn in papers online, through a certain website that checks the authenticity of the work, and the student can see the score and what passages were marked as not your own. If the professor used this, then Al-Turk should have been able to check it on his own and realize he had a lot of work marked plagiarized. I think the one item that gave me pause now that you mention it is that I know in many of my rough drafts I have forgotten to cite, it is a rough draft and ultimately in my final draft I have always corrected those errors. This article did say that it was his rough draft and I do agree that the student should have been notified of the actions being taken against him. I don't see any course for calling racism in this article. If he is being released form school for plagiarism, then he should understand that was the problem. If he's made it all the way to the third year of law school then he should know how to site his work by now.If the school has a high rate of other non-white students being released from the program then maybe that's someting that should be looked into, but if it is just him then I find it hard to believe. I also do think that the school should refund him the money, if they are going to not let him back, because other students who withdrawl can be paid a percentage of their money back. Also, he should have known no to go into an unrecorded meeting giving someone else the gas to throw on the fire. I respectfully disagree with your last statement. If I'm late on an assignment, I don't bring a tape recorder with me to talk to my professor about it. I do agree that as a third year law student he should know how to cite sources, as that is ingrained into your skull practically throughout high school. I am agreement with you regarding your commentary. Plagiarism is plagiarism and that's that. Furthermore, all universities must maintain standards in order to sustain a level of credibility and quality. I think the point here is that there have been other students who plagiarized and stayed in school. If the policy is to expel any student who plagiarizes, that policy should be kept no matter what the circumstances are. My first disagreement is that you state "If he's made it all the way to the third year of law school then he should know how to cite his work by now." Exactly. Do you honestly think a third year law student randomly forgot how? Even in the rush he was likely in, I am pretty sure he knew not to plagiarize. Secondly, I believe if I understood the article, it states that other students, predominantly white, are ofered lesser sanctions for the same thing. If that is correct, one coud absolutely bring race into it. I also disagree with the statement about recording the meeting. He should not have had to do that. I don't believe that it is appropriate to play the discrimination card, particularly when the issue at hand has to do with an unethical violation by the individual in regard to a university policy. Cheating is inexcusable and suggests a deficiency in the student's academic behavior. Consider this: if you procure an attorney to defend you in a court of law, do you want one who cheated his way through school or one who put in the time and did the work and can function competently in his own right? You bring up a very valid point. Law in theory is "supposed" to be a very ethical field (at times we know it is not) BUT..... I definitely would not want a lawyer that has built his career on unethical behaviors. We cannot just assume that because noone in this case but Mr. Al-Turk has mentioned discrimination, that we should just rule it out. Many times, especially in such important large institutions, discrimination happens to occur in a very implicit manner. I would also like to point out that after being for so many years in college, I am positive that Mr. Al-Turk would know something about plagiarism and its consequences. It just seems unlikely that everything he has written before did not have plagiarism and this particular one at the end of the semester does. It is if, he forgot what he learned throughout all these years of college? Another point that I want to suggest, is that the school board has come across many cases of plagiarism before Al-Turk's case, most of the students were Caucasian, and most of the cases were dropped. I would also like to point out that the board knew that Mr. Al-Turk was only a couple months away from graduating; shouldn't they have been more understanding and lenient toward a violation, if it even occurred in the first place, since they mostly did not dismiss many of the offenders from college. We should not just rule out discrimination if it is not apparent in the case; not like they would come out in public and say they are racist. We should be open minded and consider every voice. I do not know for sure, but I suspect that you are a white student because of your use of this common phrase. People who have never experienced racial discrimination before will say that someone is merely "playing the race card" or in your case, "playing the discrimination card." If you have not experienced this firsthand, please do not assume that anyone is just playing cards. Racism affects people of color (and white people) every single day, and it can feel like a never-ending burden. Our society forces people of color to be aware of the "race card" because they experience their race, their color, their non-whiteness every day. They actively experience the existence of the "race card," and I can imagine it would be difficult to fully understand when one is experiencing discrimination from when one is experiencing natural consequences of one's behavior.